Happy October dear cat lovers. Hello from your feline editor Clyde. Oh happy days! Our Black Cat Awareness Holiday Is Official. 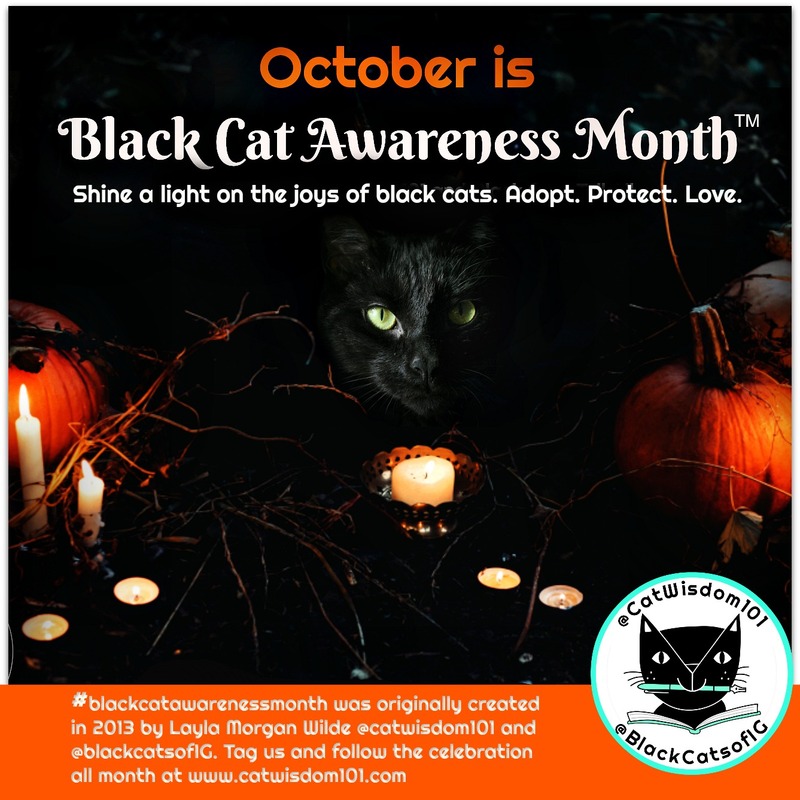 What began as a blog post in 2013 turned into a deeper effort with Black Cat Awareness Month in 2016. Several websites that chronicle holidays have added ours this year including Days Of The Year who added a nice write up. 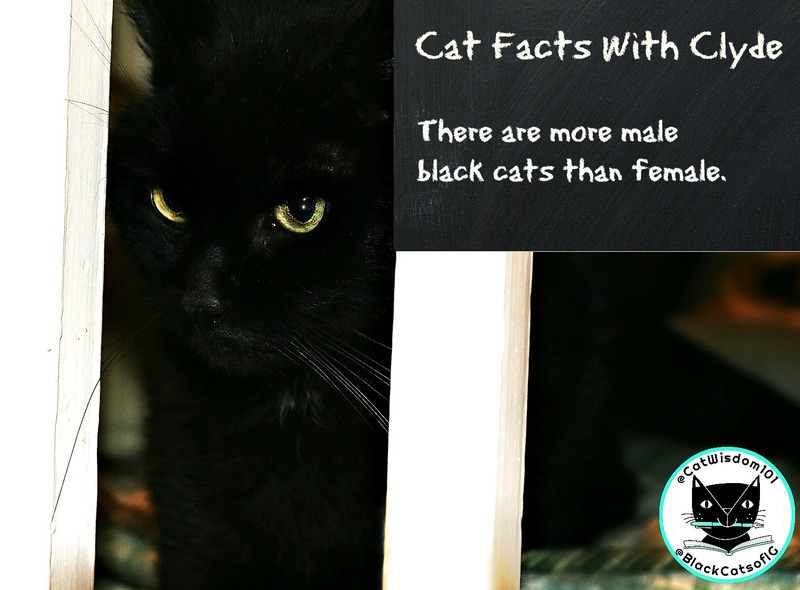 We’ve updated the original post The Art Of Kindness is Color Blind: Black Cats Count that started all the black cat love. That’s before I came on the scene and it does my old heart good to know I made a difference. I’m turning 19 in January and it’s anyone’s guess if I’ll be celebrating here or in kitty heaven. Every day is precious and I make sure I get attention 24/7 by yowling for food like clockwork every three hours. Normally there is gradual weight loss with CKD kitties but I have maintained my normal weight. For those of you with cats who are stressed, yowl day or night and the vet has not found a solution, I have a suggestion. Layla loves binaural music on YouTube and found one for calming pets. This is my latest favorite. Give a listen and let me know. I’ll post more next week. Look for a very furry black October here. We’re cooking up a special treat for you (Actually a free e-book, so please subscribe). There will lots of Halloween cat art and other silliness this month but also some new and practical cat facts. CONCATS !!! 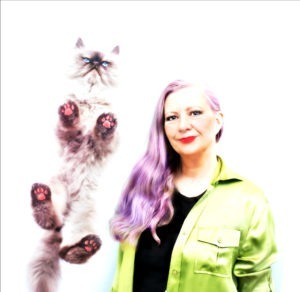 Everyday of the year should be some kind of Cat holiday in our opinion! Luvin us some black kitties! Have a happy Black Kitty Month! My human is leaving the music on in the background to see if it keeps Binga calm… not much works with her!